Although the word “blues” is a style of music that originated from African Americans, it is also one of the most popular chord progressions in our western style of music. It is also know as a “12-Bar Blues” because it is typically made of twelve bars, traditionally made up of three chords. 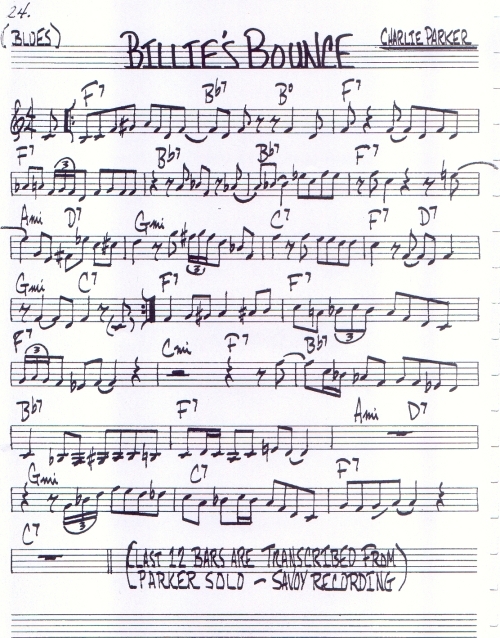 Later on, players added more changes to what many people know as a “jazz blues”, and furthermore, players today add substitutions and passing chords to make the blues sound more interesting. I will try to cover as much ground as I can on this lesson. The traditional blues is made up of three chords, the I chord, the IV chord, and the V chord. Usually, unless this is a minor blues, each chord is treated as a dominant chord. If you don’t understand any of this, don’t worry, you will see examples of this and it’ll all make more sense. The chords usually follow the same pattern and order, with some slight variation. Now let’s take a lot at the same chord progression in some different keys! 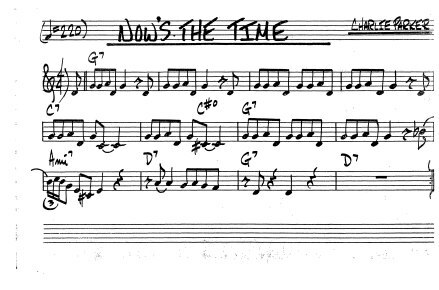 Very important, the last two measures of the blues is called the turnaround. Turnaround is basically a term that refers to a series of changes that go back to the top of the form, or to the I chord. For more information about the turn around, check out my lesson on the turnaround. The I chord, which was previously played for four measures in the traditional blues, is now changed up a bit. On the second measure, a IV chord is added, and then adding a diminished chord for some flavor. The theory behind it, is the movement of the notes. The Bb, moves up a half step to a B diminished, which then resolves by moving a half step up to a C, which is the 5th chord tone of F. As we move on we see a Cm7 to F7 to Bb7. This is simply a II - V - I to a certain location, which in this case is the V chord. To further understand the II- V - I , you can visit my lesson on the subject. We then have the same movement with the Bb7 to B dim that I explained just a few lines up. We land back on the I chord, and then to a D7, which just acts like a V chord to the Gm7, which in turn, leads to a II - V - I again. Furthermore, the turn around at the end can be changed. Let’s take a look at some jazz blues tunes. In addition, you can add some tritone (three whole steps) chords to some of the already-added substitutions. Also, since the tritone is treated as a dominant chord, we can think of it as a V and add a II before it. Check out the following.